Directly connected to the main road artery of the A4 Milano-Venezia highway at the Desenzano del Garda exit. Just a few minutes from Lake Garda and the city of Verona. The structure also features rooms equipped for video conferencing, video projections and multimedia visits to production venues. 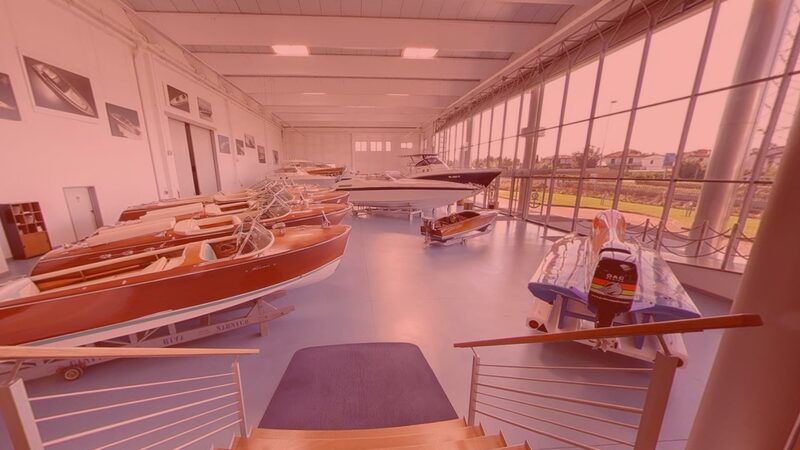 The Boat Technical Inspection Center is adjacent to the modern showroom. The center includes areas in which experts perform modern computer controls and the most delicate restoration. Keep right in the direction of Sirmione/Brescia. Stay on the Sirmione/Brescia (SS 11) road for 500 meters, then turn left for ZANINA, then immediately right on Via Marco Biagi – NAUTICA CASAROLA is the second warehouse on the left.